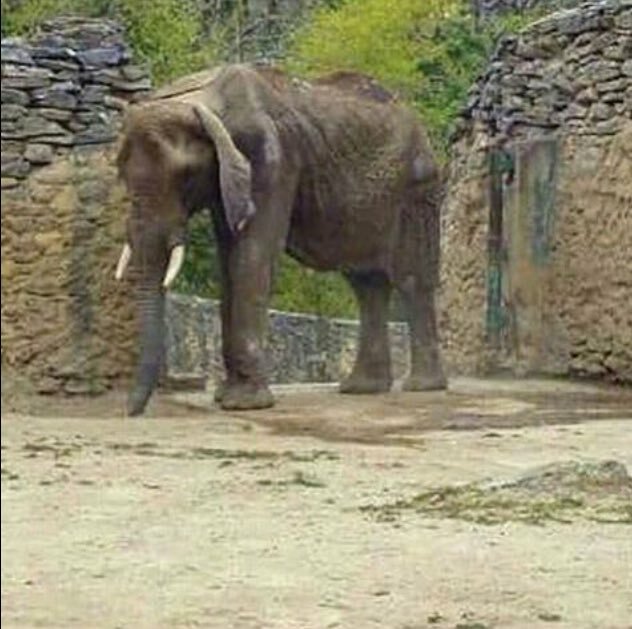 Petition Closed: Save Ruperta the Sick and Starving Elephant From Impoverished Zoo – ForceChange | "OUR WORLD"
Ruperta is starving because there is starvation in Venezuela. Why is there starvation in Venezuela? Because the totalitarian communist dictator of Venezuela, in his efforts to collectivise the country in order to make it truely communist, has ruined the economy and normal people are without food! Where is the petition for the relief of normal Venezuelan citizens? Then they should not have a zoo, where they are responsible for feeding the animals… They should have left all of them in the wild with there family, where they could forage for their own food!!! A petition to help the people under a dictator would not help, but if you start one, I’ll post the petition! Hi Nancy, my comment was meant to point out that bloggers and others in the west are forgeting about the value of human life etc in that they can activate to try and get a starving elephant fed but see no reason to activate to try and feed the equally starving people in Venezuela. I have though about your suggestion on creating a petition, but the problem is who should one petition? As you say, certainly not the dictator himself. Would the United Nations be a reasonable petitionee? Probably not, shipping food to Venezuela could possibly be a stop cap but hardly a panacea, A military engagement to dethrone the dictator? Sounds far too messy and will make things even worse. Even if the United Nations could persuade some nation states to move into Venezuela in order to install a new government, the UN has definite socialist tendencies in the last 20 or more years and bearing that in mind, they would hardly have the incentive to restore a real working economy, even if the people of Venezuela would let them. Although my heart goes out to these people, I believe like Russia and the PRC, the people of Venezuela will have to go through the whole horrifying cycle until they finally come to the conclusion the Capitalism is the only proven way to keep people wealth, or at least from starving. So any suggestions for a petitionee? How about the Rockefellers http://www.rbf.org, or some of these other wonderful funds who raise money to spend on protecting the planet? Maybe the Clinton fund (joke). However lets not forget the EU which is open to immigrants of every shape or form. Angela Merkel perhaps or Sweden? I wait for your best suggestion. Nancy, Actually I think Ruperta is a she. If these animals were released into the Venezuelan jungle or where-ever, they would most certainly die. They either need to be sent to another zoo – at great expense which is probably impossible to contemplate in the circumstances – or put down. However I think that people are more important. We should be thinking of ways to save the citizens and children of Venezuela – where is your love for humanity? PS What do you think of a petition to Angela Merkel to welcome citizens of Venezuela to Germany? These people would share a reasonably similar religion and culture. The people of Venezuelan asked a Animal Rights group for the funds to transport her to another zoo, they’re just waiting to get Ruperta released to them. Yes, a petition to Angela Merkel could be good…. It certainly doesn’t hurt to try, at least you will get the word out to more people. Let me know Roger and I’ll post the petition.